If you need to know the differences between Islam, Judaism, and Christianity, you probably shouldn’t ask Australian nationalist politician Stephanie Banister. 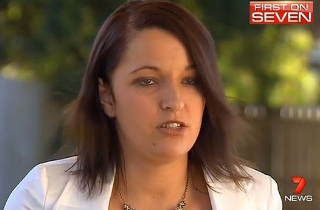 The 27-year-old One Nation party candidate for parliament proved herself ignorant on key facts while discussing her policy beliefs with a 7News reporter Wednesday evening. At one point, she declared “Islam” to be a country; at another, she suggested the Jewish religion follows Christ; and another, she asserted a federal disability program was working quite well despite not going into effect for three more years. ”I don’t oppose Islam as a country, but I do feel that their laws should not be welcome here in Australia,” Banister said in the interview. Haram is a Muslim term used for something that is forbidden or punishable; Banister meant their holy text called the Koran. Also, of course, Judaism outright rejects Christ as a savior. Later on, the 7News reporter got Banister to say the Australian “National Disability Scheme” is “working at the moment,” despite the fact that the policy does not go into effect until 2016. In response to the interview’s airing, Banister told Fairfax Media that she had been misrepresented by 7News. They “completely twisted all my words,” she said, alleging that they painted her as a “stupid moron.” According to the nationalist politician, the news outlet cut from the interview all the parts where she corrected herself on those key facts.